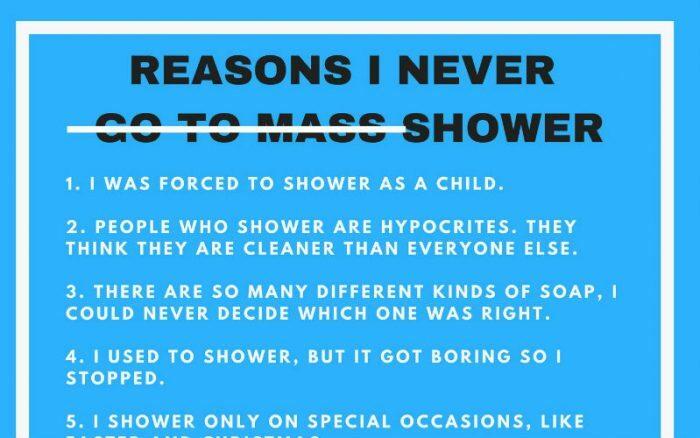 This Viral Meme About Bad Excuses for Skipping Mass Will Make Your Day! This is funny – and makes a great point! 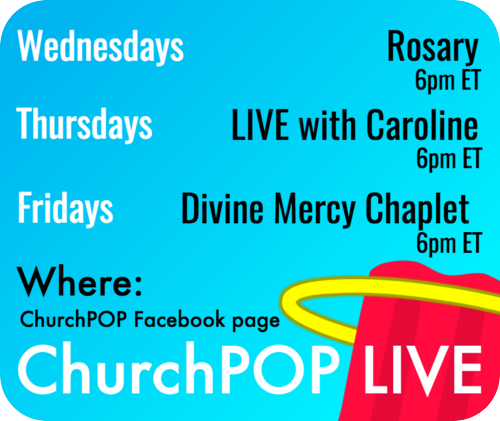 How often have you heard lapsed Catholics give excuses for why they don’t go to Mass? It’s too boring, they don’t have time, the priest wasn’t friendly enough, etc. Well a meme is going viral on social media that addresses just these sorts of complaints in a funny way. The point, of course, is that Mass and the Sacraments are good for us, so these are very good excuses. It’s been shared all around social media thousands of times. 1) I was forced to shower as a child. 2) People who shower are hypocrites. They think they are cleaner than everyone else. 3) There are so many different kinds of soap, I could never decide which one was right. 4) I used to shower, but it got boring so I stopped. 5) I shower only on special occasions, like Easter and Christmas. 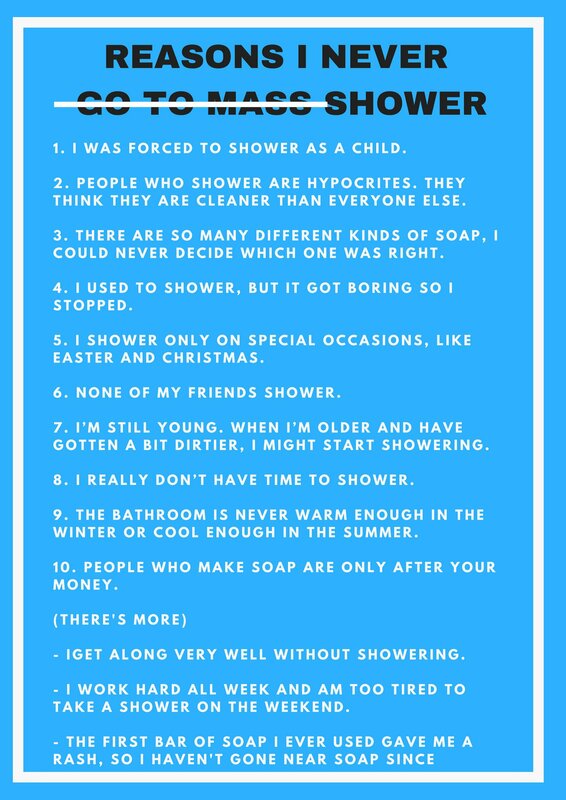 6) None of my friends shower. 7) I’m still young. When I’m older and have gotten a bit dirtier, I might start showering. 8) I really don’t have time to shower. 9) The bathroom is never warm enough in the winter or cool enough in the summer. 10) People who make soap are only after your money. – I get along very well without showering. – I work hard all week and am too tired to take a shower on the weekend. – The first bar of soap I ever used gave me a rash, so I haven’t gone near soap since.